The scandal around the judiciary reform dramatically undermined the positions of the ruling party. Meanwhile, the largest bank in the country found itself in the middle of a new high-profile investigation. As for Russia, unambiguous threats are voiced regarding the planned joint Georgia-NATO drills. As expected, “Georgian Dream” lost its constitutional majority. It is not so crowded now in the ruling party and its “peeling” is still in process. The rebellious MPs disagree on promoting in the top judicial hierarchy those judges whose cases were the main reasons for criticizing Saakashvili’s judicial policy. The point is that nobody likes the key citadel of discredited judges – the Council of Justice, which has been dubbed as a clan for a long time now. Many representatives of both parliamentary opposition and civil activists demand to disband this institution. However, taking such a step requires constitutional changes, which is a serious challenge in terms of a complicated and time-consuming procedure. The political opposition accuses authorities of being well-adjusted to vicious schemes within the judicial system instead of implementing real reforms. Despite some progress the court has become an issue of bitter political infighting. The rebellious politicians have a leader, a female MP, a former attorney Eka Beselia, who, as a result of her popularity, can become an influential figure for a new conservative political power that is gradually coming into light. With 2020 parliamentary elections looming, the campaigns are being launched on the threshold of the court. In February two parliamentary committees failed to investigate the scandalous case of the largest Georgian bank TBC. Last August the Main Prosecutor’s Office of Georgia already launched a criminal investigation of money laundering. According to the Prosecutor’s Office, it has to do with a suspicious operation of $17 ml originating in TBC. The Prosecutor’s Office explained that there are signs of money laundering and other illegal actions in 2018 TBC activities. This case features TBC founder and supervisory board chairman Mamuka Khazaradze and his deputy Badri Japaridze. On February 13, the National Bank of Georgia deprived both of them of signature authority and the TBC Bank’s shareholders’ meeting was tasked to recall them from the supervisory board within 2 months. Khazaradze and Japaridze resigned. According to Khazaradze’s statement, TBC international stakeholders suffered significant losses of $200 ml in only one month because of the “attack”. The interest is triggered by the fact that Khazaradze is connected to the “project of the century” – Anaklia deep sea port project that is to become the gate between Asia and Europe. Large-scale dredging works in order to build the port started in November 2018, with the total project cost being $2,5 bn. The port is to start operating in 2021. Building the deep sea Anaklia port is carried out by Anaklia Development Consortium under the relevant agreement with the government of Georgia signed in October 2016. The Consortium includes: TBC Holding (Georgia), Conti International LLC (USA), SSA Marine (USA), British Wondernet Express (Central Asia) and G-Star Ltd (Bulgaria). The main issue is the fact that the scandal around TBC bank and the figure of Khazaradze may cause fear among the investors and therefore the development of the project will slow down, according to the forecast of Fady Asly, Chairman of the International Chamber of Commerce. Another risk factor is that the port that is of interest not only to Georgia, but also to the West, is being built only several kilometers away from the borderline between Abkhazia controlled by Russia and the rest of Georgia, which dramatically undermines Kremlin’s position in the region. The expansion of NATO military potential and participation of Ukraine and Georgia in the drills destroy the existing global security system and force Russia to strike back. Such a statement was made by Russia’s Minister of Defense Sergey Shoygu at the recent meeting in the Russian defense ministry. The statement of Russian Minister of Defense was made against the backdrop of the negotiations between Georgian Prime Minister’s Special Envoy for the relations with Russia Zurab Abashidze and Russian Deputy Foreign Minister Grigory Karasin held in Prague. Mr. Karasin himself caught up with his colleague and unambiguously warned Georgia of possible mistakes and “unpleasant surprises”. He did not specify what exactly he had in mind in front of the cameras, however, it is certain that he addressed his message to the former Georgian prime-minister and incumbent chairman of the ruling party Bidzina Ivanishvili, as Abashidze suddenly had a meeting with him prior to his trip to Prague. This statement was perceived as a threat in Tbilisi. This time Russia’s dissatisfaction was formally triggered by the joint NATO-Georgian command-and-staff drills that will take place in Georgia in March 2019 involving 22 NATO member states as well as North Atlantic Treaty partners. The main aim of the drills held under the command of NATO-Georgian Joint Training and Evaluation Center (JTEC) is enhanced cooperation and better compatibility of Georgian military forces with NATO standards. It is worth noting that for the first time ever these exercises will be held under the command of Georgian military forces. In summer 2019 other large-scale drills under the auspices of NATO are to take place in Georgia. This time Agile Spirit, international and multinational command-and-staff drills, are set to be located in Western Georgia. Over 3000 military personnel from NATO member-states and partner-states of the North Atlantic Treaty are to take part in the drills under the joint command of Georgian military forces and the United States European Command. 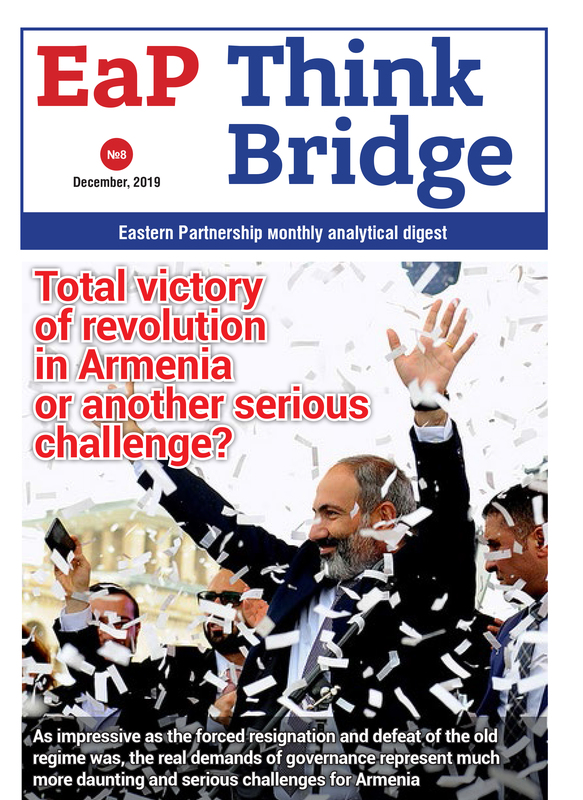 It is obvious that Kremlin statements did not come as surprise, however, it is still unclear what it has in store for Tbilisi.